Passing the TOGAF exam requires a good knowledge of the wording in the TOGAF. 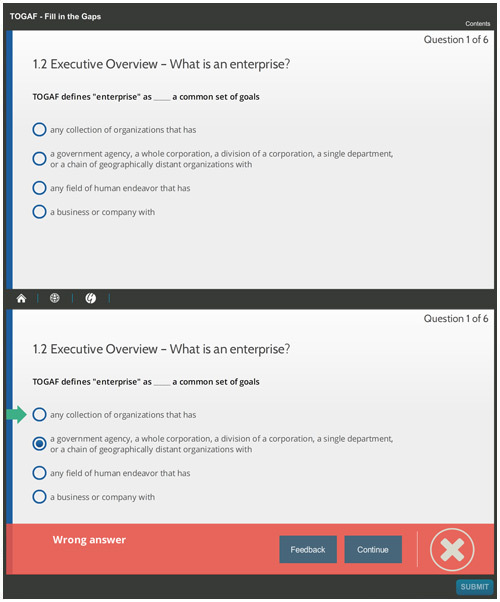 Here is a quiz to check your knowledge in six key areas of the TOGAF documentation. Can you choose the right phrase to complete each of the six statements?